LightWave 3D gives you the tools needed to create great visual effects! The very talented digital artist Louis du Mont impressed us this month with this amazing mock documentary about Android's new interplanetary features. All the CG elements were created in LightWave 3D, so check this out! "We helped Grama Film with some VFX for a little April fools video that popped up on the Android Developers channel on youtube. 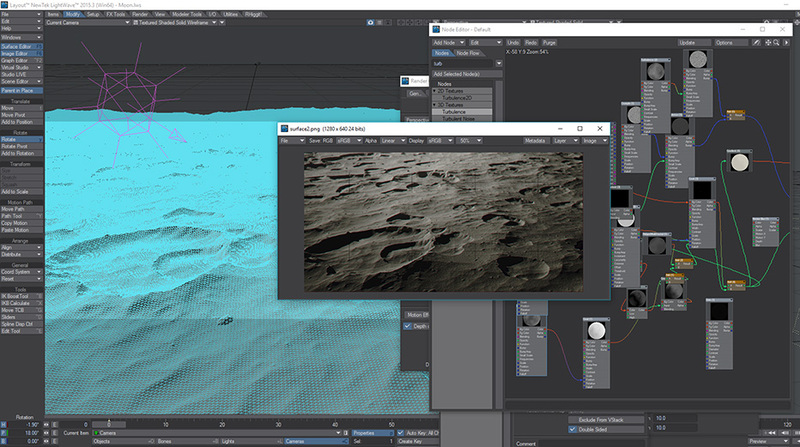 The aim was to maintain the documentary style that Grama is know for, working closely with Grama on set and in post to produce several VFX shots that sell the viewer on the idea of Google releasing tools for the ‘Interplanetary Internet’". "All the CG elements were created in LightWave 3D and the compositing with After Effects." Learn more about Louis du Mont on his website, Vimeo or Flickr.